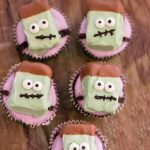 Frankenstein Rice Krispies Cupcakes for super cute, spooky treats kids and adult alike will love. 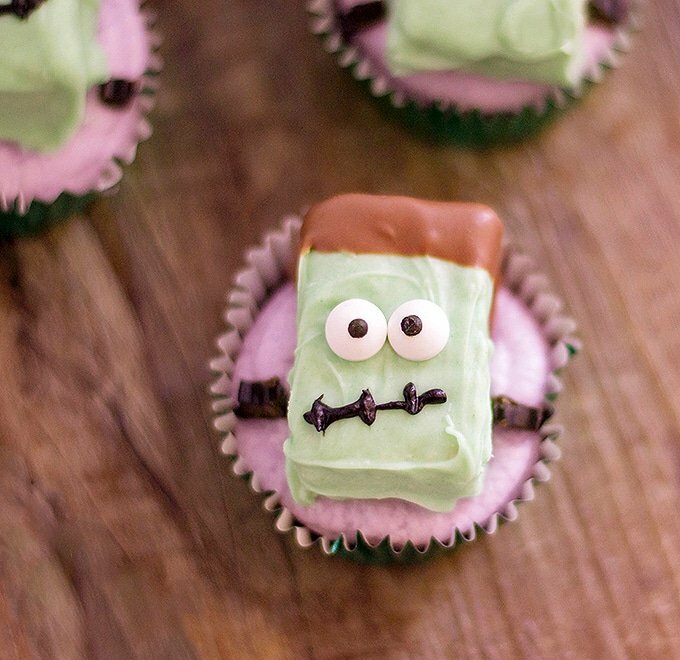 They’re the perfect addition to your Halloween party menu! Happy Monday, everyone! 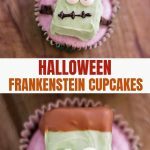 Ready for more Halloween crafts and fun food? 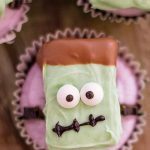 September is all about spooky treats here on the blog and so far, we have scarecrow graham crackers, spider rice Krispies treats, and Halloween soda labels printables to kick things off. 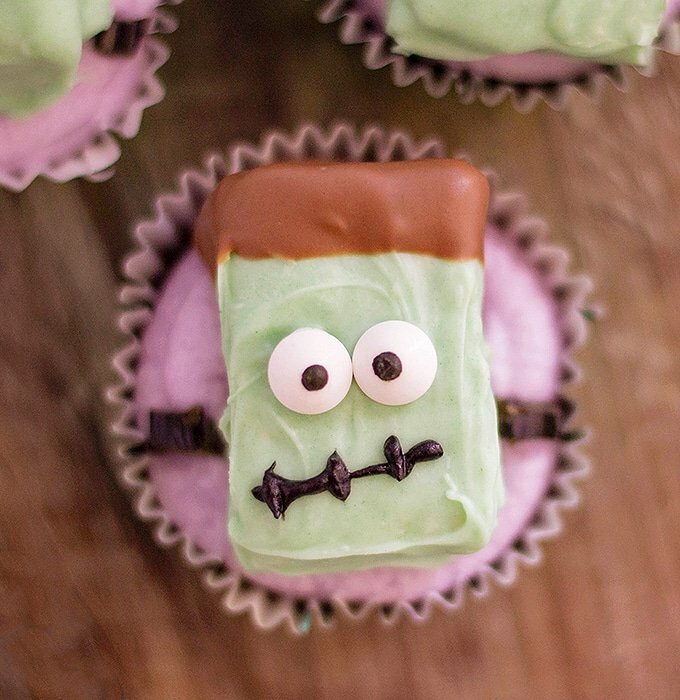 These Frankenstein cupcakes are another addition to our list. Aren’t they just adorable? 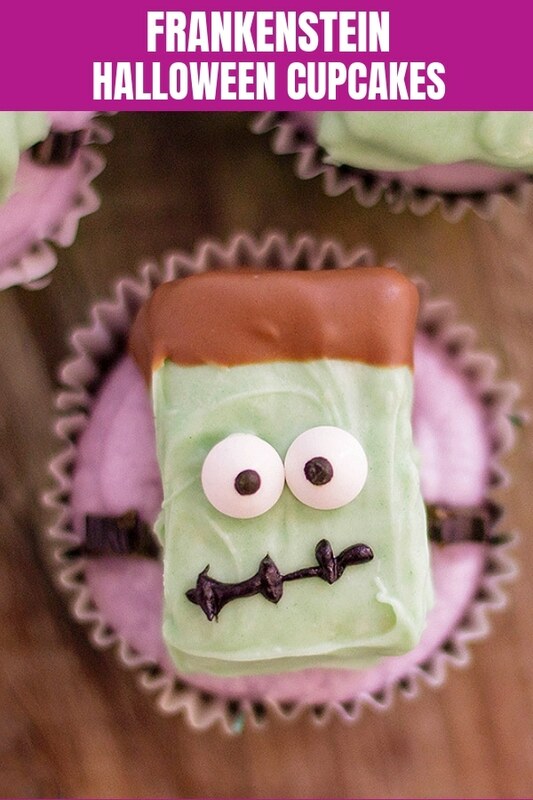 With frosted cupcakes topped with Frankenstein-decorated rice cereal squares, they’re a double sweet treat! For the cupcakes, you can use either box cake mix, your favorite recipe or ready-made from your neighborhood bakery. 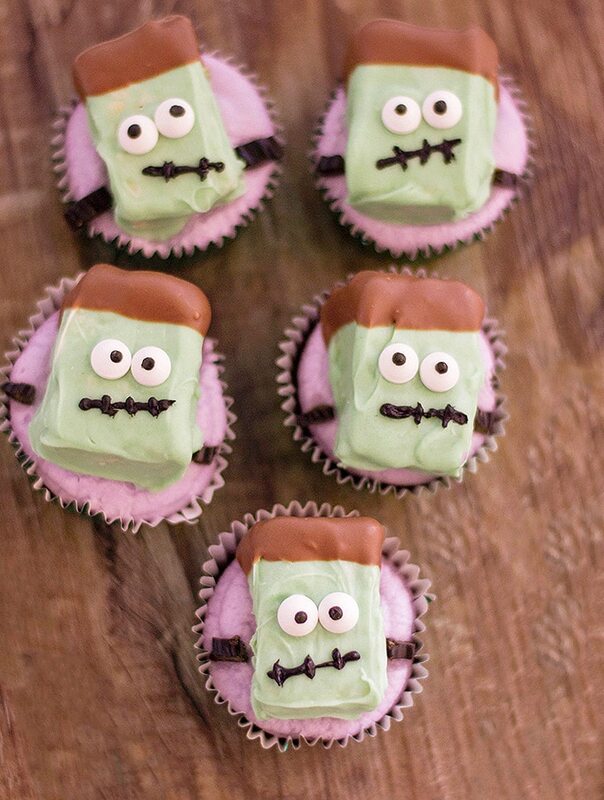 Use Halloween-themed liners for the best effect and make sure the cupcakes are completely cooled before decorating. 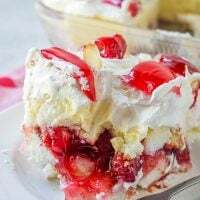 In a bowl, beat butter, powdered sugar, milk, vanilla extract, and violet food coloring on slow speed, gradually increasing to high, until smooth, fluffy and evenly tinted. Frost each cupcake generously. In a microwave-safe bowl, combine green candy melts, white candy melts and 1 teaspoon of coconut oil in the microwave at 30-second intervals, stirring in between, until smooth and completely melted. Cut cereal treats in half and dip each into the melted candy to fully coat. 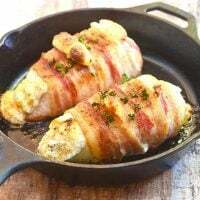 Carefully place in a single layer on a parchment-lined baking sheet. Place 2 eyes on each coated cereal treat and 2 licorice pieces on the side to resemble Frankenstein’s monster’s bolt. Allow to set. In a microwave-safe bowl, combine brown candy melts and 1 teaspoon of coconut oil in the microwave at 30-second intervals, stirring in between, until smooth and completely melted. Dip the top part of the coated cereal treat to resemble Frankenstein’s hair. Carefully place back on the baking sheet and allow to set. Using the black frosting, draw eyebrows and a smile to complete face. Carefully place each decorated cereal treat on top of each cupcake. 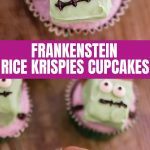 Frankenstein Rice Krispies Cupcakes for super cute, spooky treats kids and adult alike will love. 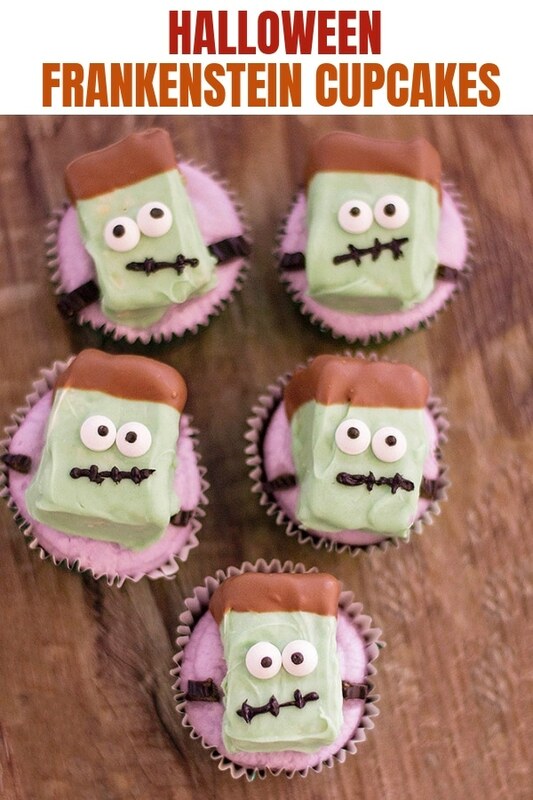 They're the perfect addition to your Halloween party menu! 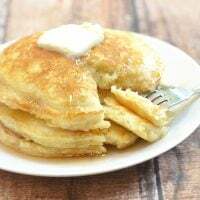 In a bowl, beat butter, powdered sugar, milk, vanilla extract, and violet food coloring on slow speed, gradually increasing to high, until smooth, fluffy and evenly tinted. Cut cereal treats in half and dip each into the melted candy to fully coat. 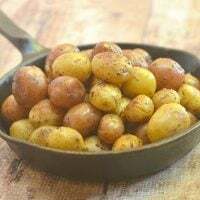 Carefully place in a single layer on a parchment-lined baking sheet. 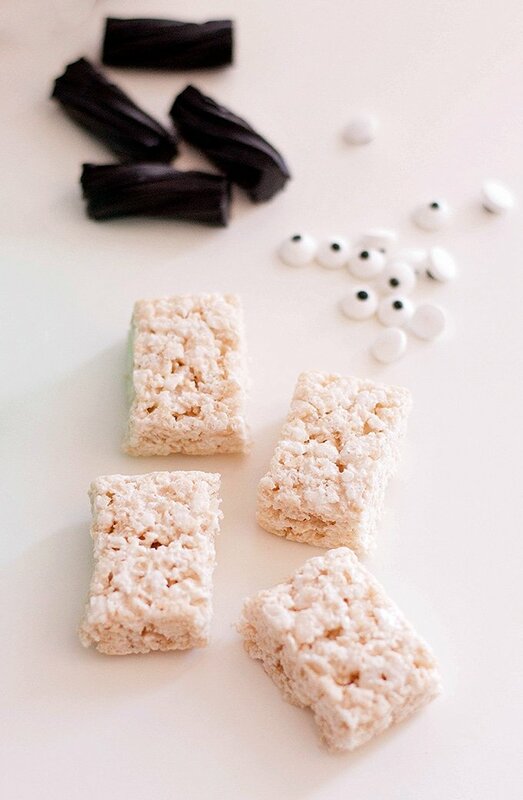 Place 2 eyes on each coated cereal treat and 2 licorice pieces on the side to resemble Frankenstein’s monster’s bolt. Allow to set. These cupcakes are just darling! My boys would love these for halloween. This is too cute! My kids would love this. What a creative idea! These are so adorable! 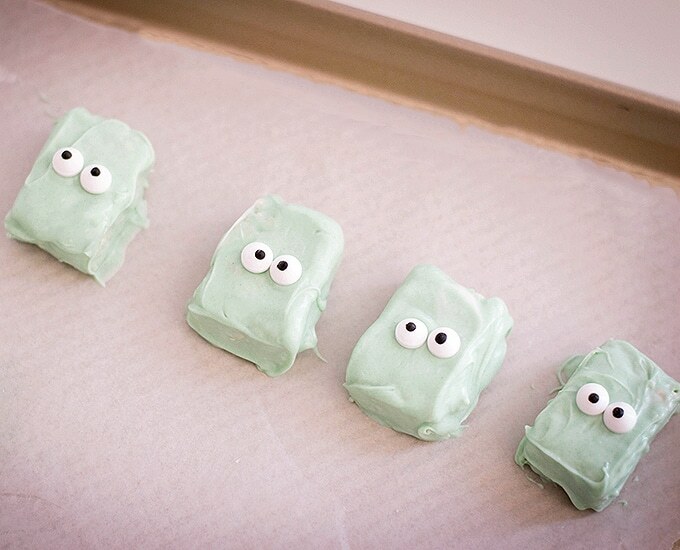 I can’t wait for my kids to help me decorate these.